Chalke Valley's secluded location is perfect for considerate stag and hen parties. Located on the Wiltshire Dorset border - our exclusive use site can accommodate up to 30 guests in the six large furnished bell tents and additional pitch your own camping. 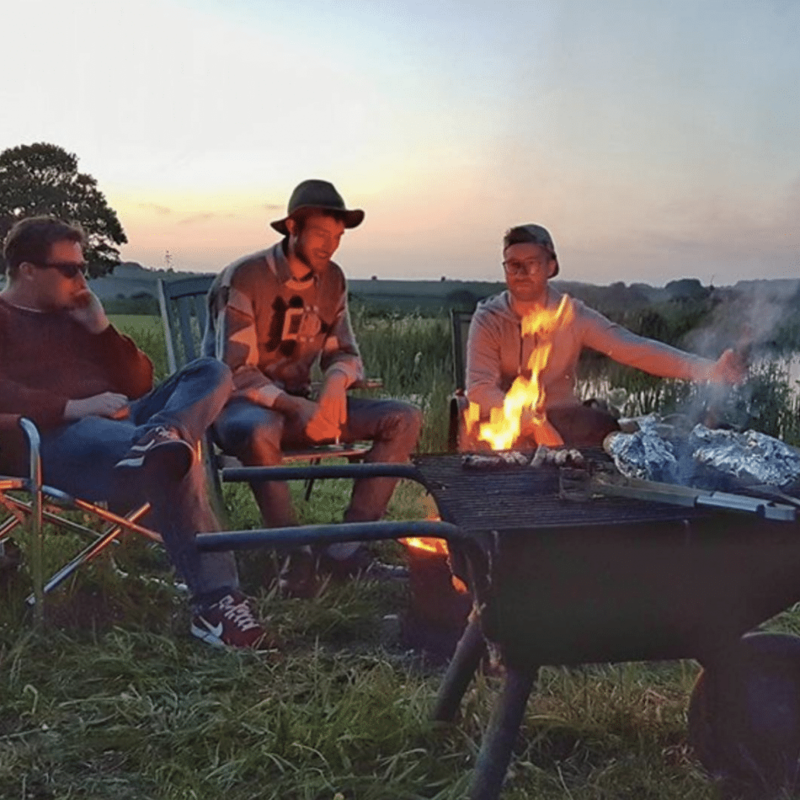 We have welcomed a number of guests who have chosen to host their stag and hen parties at Chalke Valley Camping in Wiltshire. The site is located over half a mile from the nearest property offering complete privacy in an idyllic setting. 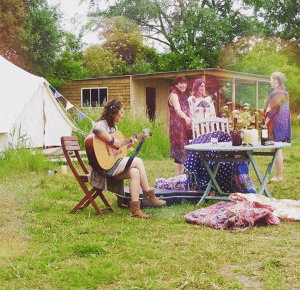 The site is suitable for those who wish to have a laid back festival style party or 'back to nature' hen do. 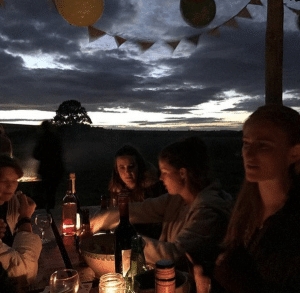 A generator can be hired if required for music. 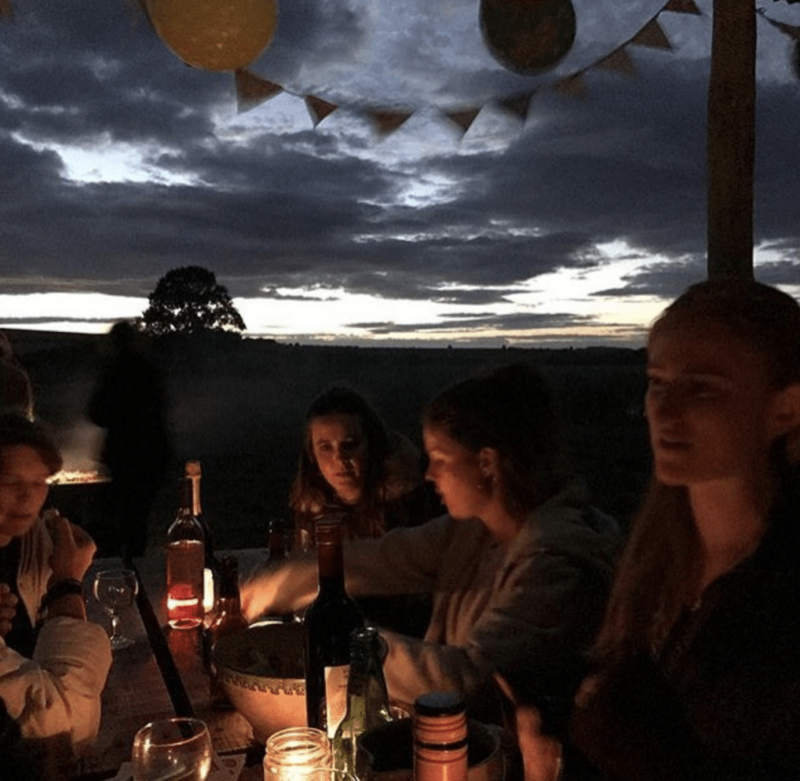 Whether its a handful of close friends, or a larger group of up to thirty, we will do our best to accommodate and ensure everyone has a fantastic time. 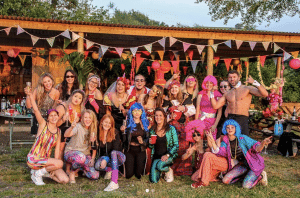 What's included when you book the site for a stag or hen party? * Please note – a 20% non refundable deposit is required to secure the booking with the balance due six weeks in advance of arrival. Prices range from £350 – £600 per night for the entire site (six bell tents + communal kitchen/shelter + 2 acre site) – depending on season and requirements. 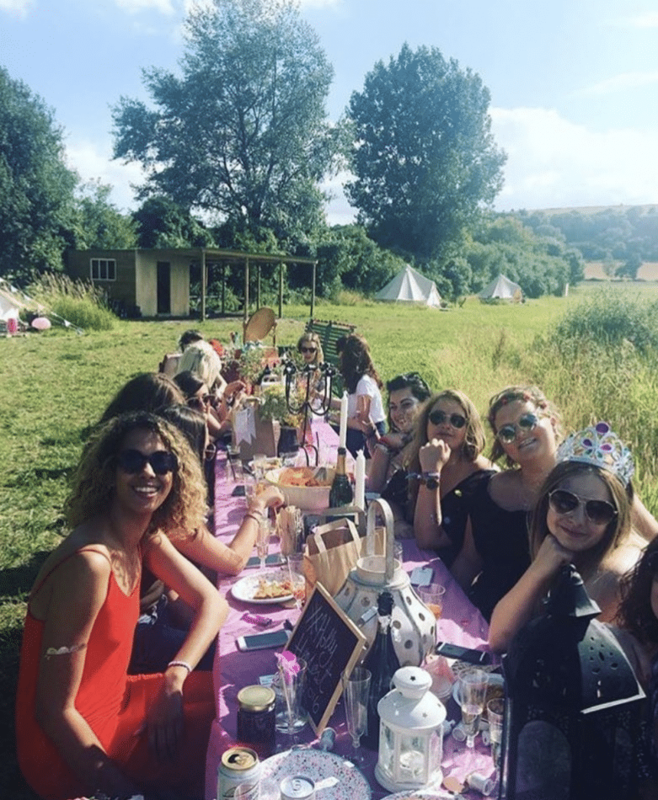 We hosted a hen party at Chalke Valley Campsite earlier this year and I cannot put into words how beautiful the location is! The help we received was far more than we had expected and we are so thankful for all of the owners help with making it a weekend to remember! 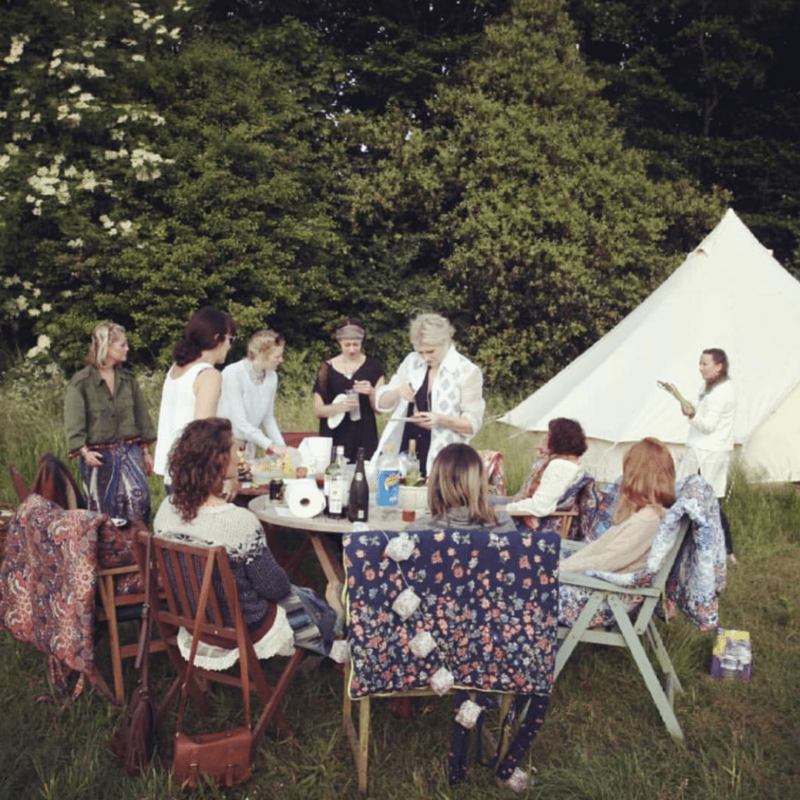 We already have friends planning weekends away in Chalke Valley. Perfect location, amenities and hosts!